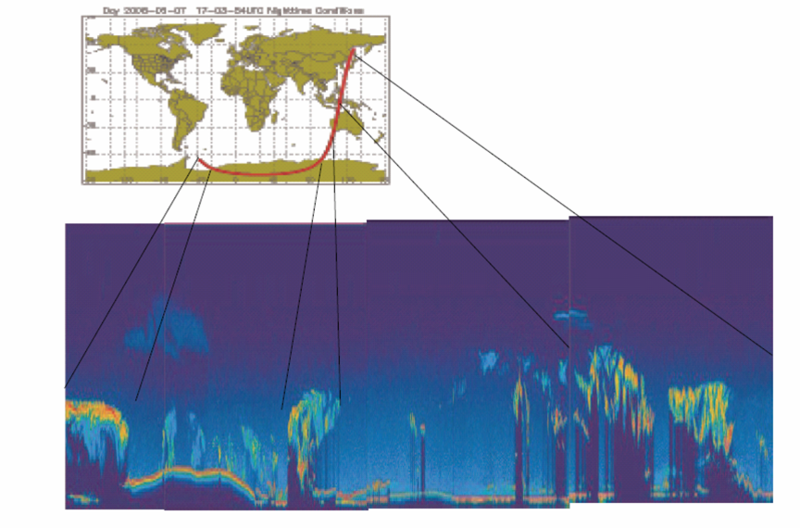 Orbited 28 April, the NASA/CNES Calipso satellite is designed to study the impact of clouds and aerosols on climate change. With the data validation phase of the mission drawing to an end, its 1st series of results is set to arrive this month. Calipso’s instruments have performed remarkably well since being switched on in May. “The instruments’ signal-to-noise ratio is even better than we expected,” confirms Jacques Pelon, Principal Investigator on the French side of the mission. Vertical atmospheric profile over Antarctica obtained from Calipso’s lidar (June 2006). Crédits : CNES. And the most innovative and complex instrument of all, the lidar—a sort of “optical radar” that uses a laser beam instead of microwaves—has functioned flawlessly for the last 6 months, whereas its predecessors experienced numerous hitches. “The lidar is a complex instrument in which all of the optical parts must be perfectly aligned for the laser to work as intended. Getting this technology to operate durably in space is a real feat of engineering,” says Didier Renaut, in charge of meteorology and climate programmes at CNES. 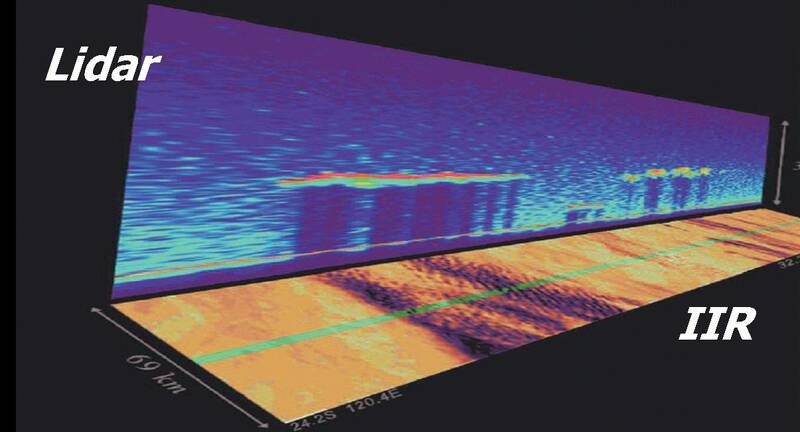 Combination of lidar vertical profiles and infrared imaging data. Crédit : CNES. The combination of lidar and IIR data from Calipso will help scientists to probe the atmosphere in three dimensions. 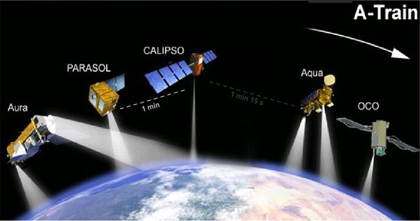 Calipso data will also ideally complement those from its companion satellites in the A-Train constellation — A for “afternoon constellation”, since all the satellites cross the equator a few minutes apart at around 1.30 pm local time —, particularly CloudSat and Parasol, the latter carrying an imaging radiometer/polarimeter with a wider field of view than IIR. “Thanks to measurements from the A-Train, we hope to finally lift the veil on the role that clouds and aerosols play in global warming, and to ascertain if they tend to amplify or limit it overall,” explains Didier Renaut. Calipso is in the same orbit as Aqua, trailing it by 1 min. 15 s, and about 1 minute ahead of the Parasol microsatellite. Crédits : NASA.